Californios Verdes and Your Public Purpose Project: Can young people change the world, or are they stuck with the messy one that adults are planning to hand to them? Learn about the Californios Verdes, a group of young people inspired to take action on behalf of the environment in their hometown of La Paz, Mexico. Based on this model, students will devise their own public purpose project – a year-long project devised and carried out by students to improve quality of life, raise environmental awareness, or in some other way positively impact their community. Where do you fit into Earth’s Ecosystems? (Even the Ones You’ve Never Seen with Your Own Two Eyes): Read about John Steinbeck, the American author who took part in a voyage to collect scientific samples of species in the Sea of Cortez. His vivid writing is an entry point for students into a discussion of ecosystems, ecosystem goods and services, and human impacts on ecosystems. Afterwards, students will apply these concepts to surveying, quantifying, and mapping their own ecological footprint. Unrecognized Potential: Terra Preta, Ancient Orchards, and Life in the Amazon: Until relatively recently, it was widely believed that the Amazon Rainforest was incapable of sustaining large scale human development. New findings have challenged this view, and evidence of ancient agriculture suggests that humans once developed this fragile region in ways so subtle that – in the form of carefully managed soils and prehistoric orchards – they have been hiding in plain sight all this time, challenging the basic tenants of “agriculture” as western eyes tend to recognize it. The Three Sisters: Background information on the agricultural combination of maize (corn), beans, and squash that formed the backbone of the Mesoamerican and North American civilization, plus suggested activities. This lesson is a part of a larger unit on the Philippines, free for use in your classroom: At the Crossroads of the World. This simple yet powerful statement, attributed to Benigno “Ninoy” S. Aquino, Jr., is one of the most popular quotes in Philippine society. 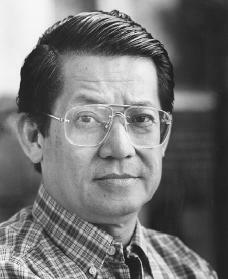 It is quoted by great statesmen in their speeches, it is reprinted on thousands of t-shirts – but in truth, Ninoy never said this, at least not verbatim. The full text of this statement, which Ninoy delivered before the Asia Society on August 4, 1980 in New York City, goes deeper than the oft-quoted truncated version implies. The entire conference room- there must be over 500 teachers in here- has been conscripted into a 9 a.m. line dance. Everyone’s supposed to stand up and copy this ridiculously enthusiastic morning writhing in unison with all the other strangers. I hate it. It’s my worst nightmare, minus the ebola. I’m hiding in the back behind a piling thinking I would only do something like this if it were a wedding, open bar, and we were making up our own moves and giggling. In other words, we if we had some autonomy. The irony is that one of the big messages in these conference sessions is that to create cohesion in a classroom- thereby creating an engaged, compassionate, and high-achieving community- you must give students choice and control. Autonomy. It’s weird to me that they’re starting today with brainless, compliance-based call and response. The Basics of Ancient Maya Civilization – Who were the Maya? Where did they live and when? The Ancient Maya in Time and Space – How did the Maya interact with their environment? How did the Maya conceive of themselves and the universe around them? In European influenced societies, geography, ecology, time, and spirituality are all relatively distinct spheres – not so for the ancient Maya, whose since of time, space, and religion were closely linked. Ancient Maya Society – How was the ancient Maya society structured? How did they govern and feed themselves? The Maya City – The most durable testament to the grandeur of the ancient Maya are their grand construction projects. How were these cities made, and what makes them so awe-inspiring? The Written Language of the Maya – Language shapes thoughts, knowledge, and feelings as well as human imagination, so it permeates all aspects of culture – the complexity of the Mayan language is key for understanding the richness of this people. Find more free lessons on the Maya at Openendsocialstudies.org. Ms. Rita Ulrich, a Fulbright-Hays fellow, traveled to Bulgaria and Greece in 2017 to better understand the ongoing refugee crisis in Europe. She recently contributed her lessons – detailed text appropriate for the middle or high school classroom, complete with creative activities and guided reading questions. It’s everything you need to humanize this unfolding human tragedy for your students. Refugees and Human Rights in Bulgaria (Free online text suited for middle or high school classroom use, guided reading questions, and suggested activities): What are refugees, why are they in European countries like Bulgaria, and how is the United Nations involved? The Psychology of a Refugee Crisis (Free online text suited for middle or high school classroom use, guided reading questions, and suggested activities): What psychological dangers do refugees face throughout their journey and during their time searching for safety and a new home? There are also plenty of free lessons featuring other nations currently in the news. Learn how you can submit your own work to Openendedsocialstudies.org. Here’s an idea to get your social studies students going — have them write a poem using the glyphic script of the ancient Maya. Background on the language can be found with this free Openendedsocialstudies lesson plan, The Written Language of the Ancient Maya. Then, your students can use this dictionary to write a short poem in the Maya script, using at least a dozen glyphs. Have students share their poems with the class and reflect — does composing in Mayan effect the experience of writing and reading?